The Triplains students and staff are busy wrapping up another great school year. This time of year can get very busy and hectic at school with finishing up end of the year projects, track meets, programs, and special events. The past month has been very busy here at school. Our KAY club held their annual spring blood drive on March 8th. The KAY Easter party was held on April 13th. The annual KAY banquet will be Thursday, April 20th. The club will hold the annual Play Day on Wednesday, May 3rd. The junior high music students attended the league instrumental clinic at Weskan on March 7th. High school music students attended regional music on Saturday, April 1st at Oberlin. On April 3rd grades 5 – 8 attended the music contest at Sharon Springs. The K-12 music program and art show is scheduled for Thursday, April 12th. On Wednesday, March 8th we held a career panel for the high school students to learn about different careers. A big thank you to Kysha Trotten, Dathan Nichols, Linda Latham, Pat Parsons, and Shelly Weinland. Students learned about preparing for their futures. Track season is well underway at school. The high school track team competed at Tribune on Thursday, March 30th and Friday, April 7th. The junior high students attended meets at Cheyenne Wells on Thursday, April 6th and at Tribune on Friday, April 7th. Students and staff hosted the Triplains Track meet at Colby on Tuesday, April 11th. This year both the junior high and high school league track meets will be held at Logan on Friday, May 12th. The regional high school track meet will be held at Hays on Friday, May 19th. The students in grades 3 -5 will attend the annual Law Day at the Logan County Courthouse on Wednesday, April 19th. They will have the opportunity to tour the courtroom, jury room, law office and will conduct a mock trial about the boy who cried wolf. On Friday, April 21st students in grades 1 – 4 will present, “Beauty and the Beast,” and 1st and 2nd will present their powerpoints. 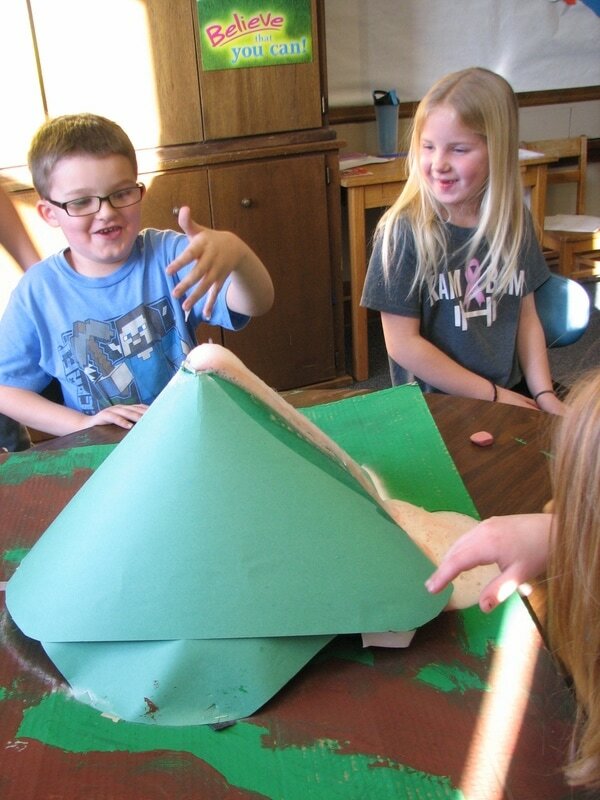 Grades 3 – 5 will attend “Conservation Roundup” in Colby on Tuesday, April 25th. This year we are planning on a K-12 field trip to the Denver Museum on Tuesday, May 9th. Awards Night is scheduled for Thursday, May 11th in the big gym with potluck supper. Graduation is Saturday, May 13th at 2:00 pm. Please remember that school will be in session on the following Mondays: April 24, May 1st, May 8th , and May 15th. Color copies of the school calendar for both the current year and next year are available online at www.triplains.weebly.com under the District tab. The K-12 house budget committee has completed a school finance formula and set a preliminary base state aid dollar figure $4,006. The current block grant funding has been frozen since 2014 at $3,852. The proposed formula is very similar to the previous formula. There are many weightings the provide funding for different criteria such as transportation, At risk, and low enrollment. The bill has not been passed by the committee yet. Currently the legislator is in recess until May 1st. Over this break the house has having an attorney review the bill to see if it meets the provisions of the Supreme Court ruling for equity and adequacy. After the committee passes the bill it will then go to the floor of the house, then the senate. Our school year has gone by quickly. Thank you to all staff, students, parents, and community members for making it a great school year. First and Second grade class has been busy. 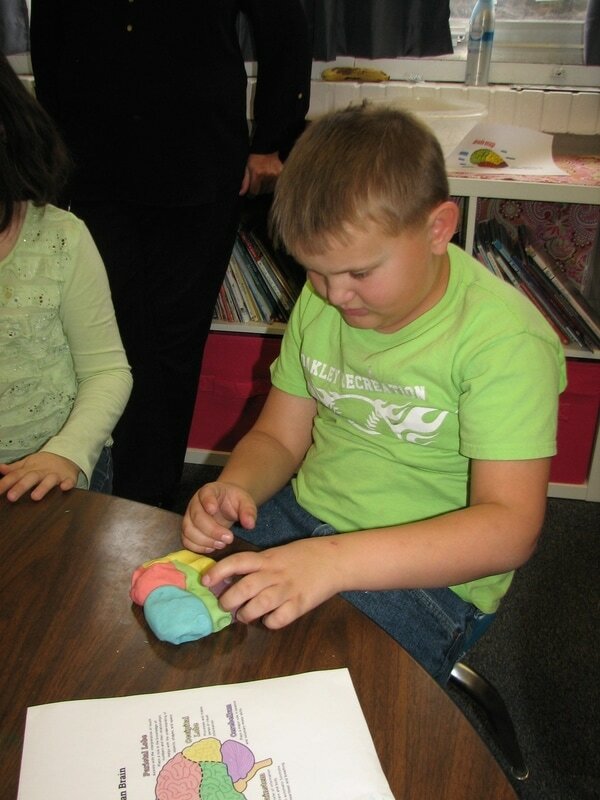 Students are learning about the human body. They have read many books and watched Brain Pop videos about the human body organs and senses. 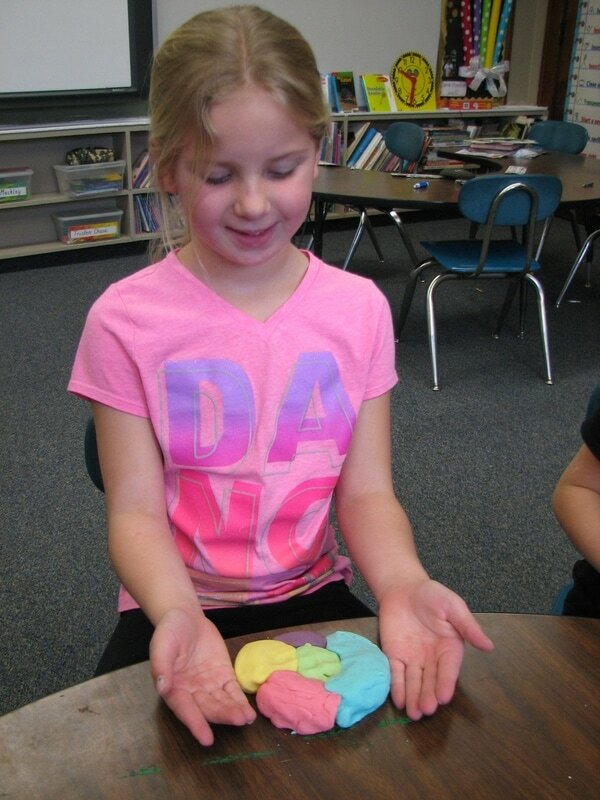 The students used play dough to depict the various regions of the brain and their functions. We will be tracing our bodies and making life size models of our bodies and organs. Students continue to improve reading and writing skills! Students made 2017 lift the flap books. They wrote about “2” things they did this past year, one thing they wanted to “0” in on to improve this year, “1” thing they want to do this year, and “7” things that give them hope for the new year. After reading The Gingerbread Boy we made gingerbread cookies. Students worked on following directions, listening, taking turns, measuring, and finally we got to eat our gingersnap cookies! Second grade read several books and stories about our earth. They read informational texts about volcanoes and earthquakes. We also watched Brain Pop videos about earthquakes and volcanoes. 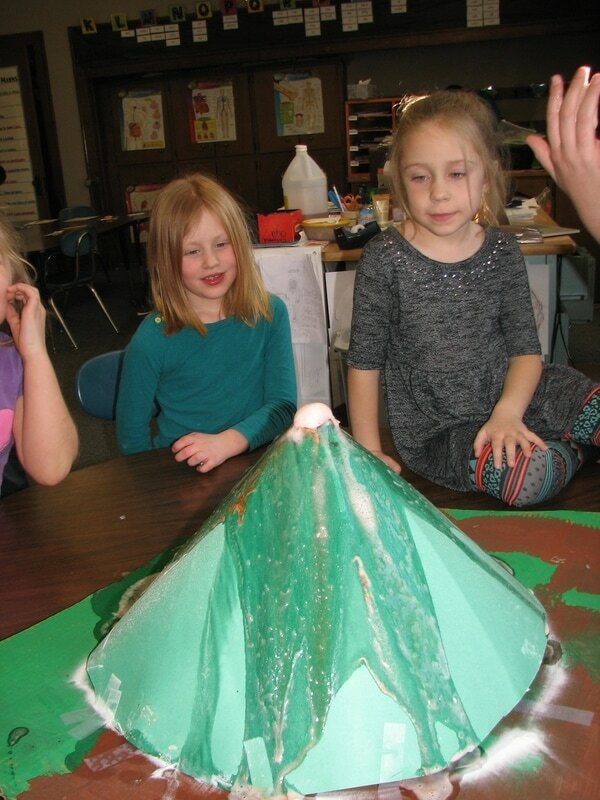 Students then built a small volcano and then we made it erupt!